Justin Bieber – Baby Released! Teen sensation Justin Bieber has recently released his debut album “My World.” What’s so special about this release? 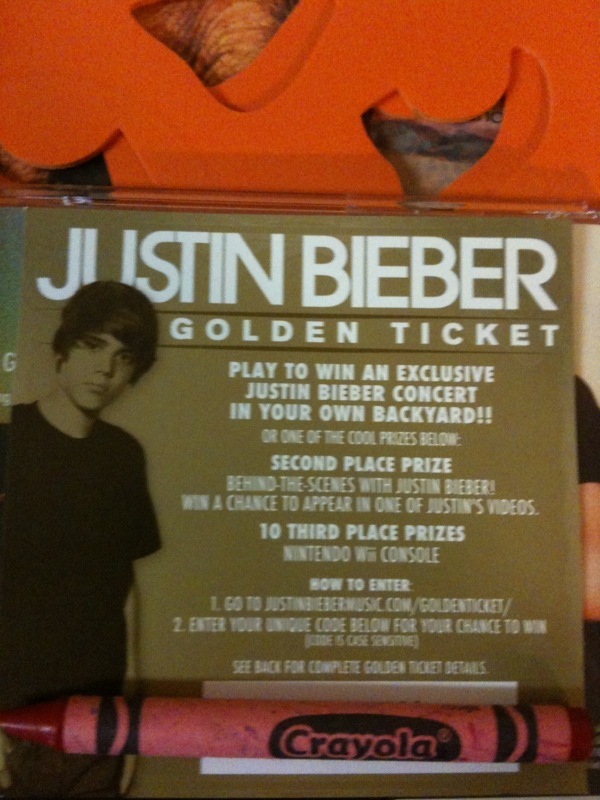 Bieber has announced that many CD’s will contain golden tickets (shown above) and one lucky winner will win a private concert from Bieber himself. Second place winner will win a behind the scenes look with no other than Justin Bieber. The other top 10 winner will win a Nitendo Wii game console. For those of you asking, Tween Hollywood has found out that the first and second place winning ticket IS still out there! You still have a chance of winning the private concert or the behind the scenes look! Goodluck to everyone! Justin’s newest song “Favorite Girl” was released at midnight according to your time zone. Luckily thanks to mybieberboy we were the FIRST to give you the chance in letting you listen to it before midnight! We love the song! What about you? Tell us what you think about the song!